The tiger is one of the most amazing creatures living in our planet. Animal Planet even voted the tiger to be the world’s most favorite animal in a recent survey. Unfortunately, due to human carelessness, some subspecies of tigers are already extinct today, but hopefully, we can learn more about them and help them grow in numbers once again. A logo is a graphical mark used to identify a company or an organization. Logos may or may not be displayed alongside the name to associate it with the company it represents. Some logos are stylized versions of the company’s name, and some are simply abstract symbols. 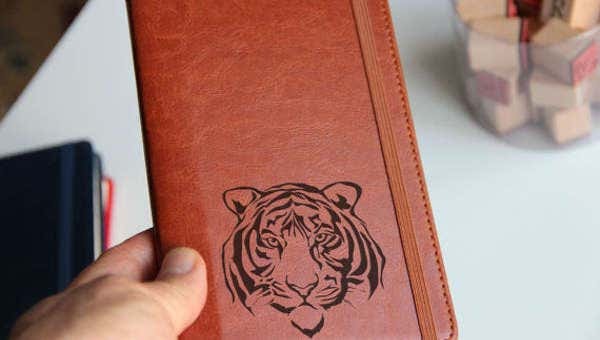 Check out our gallery of Animal Logos on this website that you can use for your business or other personal endeavors. What Is the Importance of Using a Logo? Logos can help promote the business by giving the people an abstract idea on what the company is about. An effective and professional-looking logo can give the customers a feeling that the business is a professional one as well and can therefore attract new customers. As long as your logo and your services are satisfactory, then old customers will most likely stay loyal and are less likely to transfer to the competing businesses. A well-designed logo can help in differentiating your company from the others. They are the biggest and heaviest among the species of cats, reaching lengths of up to 11 feet and weighing up to 300 kilograms. Tigers do not normally view humans as prey and will only attack if threatened. Tigers have been known to reach speeds of up to 65 kilometers per hour. Tigers, unlike other species of cats, enjoy bathing in water to cool them down during humid weather, and they are actually good swimmers and can swim up to six kilometers. Tigers have can see in the dark six times better than humans, which helps them hunt successfully in the dark. Tigers mark their territories by scratching on trees and using their urine, which smells similar to that of buttered popcorn. Much like human fingerprints, the stripes on each tiger are unique. Nowadays, there are six subspecies of tigers: the Siberian tiger, the South China tiger, the Indochinese tiger, the Malayan tiger, the Sumatran tiger, and the Bengal tiger. For those who prefer working with Adobe Photoshop, check out our gallery of Free PSD Logos. The logo should be distinctive and can be found easily even at a distance. The font of the logo, if there is any, should be legible enough. The logo should also look good in black and white or monochromatic colors. Do not copy others and do not go for any trends. Be unique and creative in your logo. The logo should be both describable to the people and memorable by the people. Why Choose Our Logo Templates over Others? These templates were designed by creative and experienced graphic artists and can easily be downloaded from our website for free. You may choose to download these templates in a number of formats, such as PSD, AI, Vector, and EPS. Rest assured that these templates are in high resolution to provide you with the best-looking logos for your company. If you are looking for logo templates with the so-called king of the jungle as the main subject, then check out our collection of Lion Logos. But if you couldn’t find what you were looking for on this page, then scroll down to the bottom and check out the suggested links to other related content found all around our website.